The ski and spa resort town of Bormio has just been ‘highly commended’ in the category of “Gastronomic Resort of The Year” by the “World Snow Awards” presented by “The Telegraph Ski and Snowboard Show” in October 2016. The awards recognise excellence in the ski and snowboard industry so this is a real achievement for Bormio and all those who work to make it such a great place to go skiing. It’s no wonder Bormio was part of this category, if you are a foodie skier then Bormio needs to be the next place you visit. Pizzocheri is a hearty dish of buckwheat pasta, potatoes, cabbage and plenty of cheese and it will certainly take care of your hunger after a day on the mountain! Sciatt (pronounced with a 'sh') are small chunks of local cheese that have been coated in a buckwheat batter and deep fried. Usually served as a starter together with a tagliere of local cold cuts like bresaola, they are savoury crispy balls with melted cheese in the middle - heaven! Polenta taragna is a mix of maize polenta (the yellow kind) and, you guessed it, buckwheat, with lots of butter and cheese. Usually served as an accompaniment to a beef or venison stew (or if you are a vegetarian, porcini mushrooms). Our top restaurant picks for local specialities are Agriturismo Rini, a more refined option where they prepare almost everything using their own produce, and you can even visit the stables to meet the dairy cows, and the more rustic Vecchia Combo a cosy restaurant run for generations by the same family. Bormio is in the upper half of the Valtellina valley, which runs from the top of Lake Como to Switzerland. On your way to Bormio by road or train, once you start getting closer to Bormio, you will see lots of terraced vineyards on the mountainside. These produce some highly regarded red wines (and some white), though with limited distribution due to the relative difficulty in cultivating and harvesting the vines. In the last few years the quality of these wines has improved immeasurably, with some like the sforzato '5 stelle' winning prestigious awards. Look out for inferno, grumello and sassella, all perfect for washing down a plate of pizzocheri, and the aforementioned sforzato, a full-bodied wine usually around 14-15% ideal for meat dishes. Ristorante/Pizzeria Eira - located just outside of the town centre (you really need to drive there or get a lift), this pizzeria is a favourite with locals, offering some gourmet toppings and a choice of base, but we love it for the restaurant options. On the regularly updated menu you can find creative dishes that you would usually find in a much more high-end (read: expensive) restaurant. The presentation is superb and the deserts are to die for. Highly recommended, book during high season and weekends. Enoteca Guanella - This small, chic restaurant located in the back of a wine shop in the old town offers a refined Piedmontese menu (Piedmont is a region in the north west of Italy bordering with France) and the most extensive wine list in Bormio. You can go into the shop and choose your wine, paying the shop price plus corkage. Booking recommended. Steakhouse Keller - Those who enjoy a good steak will love this informal steakhouse just opposite the arrival of the Stelvio Slope under the Hotel Olimpia. We could go on, but it's always fun to stumble on a place by accident; in Bormio you won't be disappointed, on and off the slopes you will be spoiled for choice when it comes to meal options. Sound like your sort of resort? Our Luxury Bormio ski break offers half board at the Hotel Palace****, with a highly regarded restaurant and good selection of wines as well as a pool and spa. 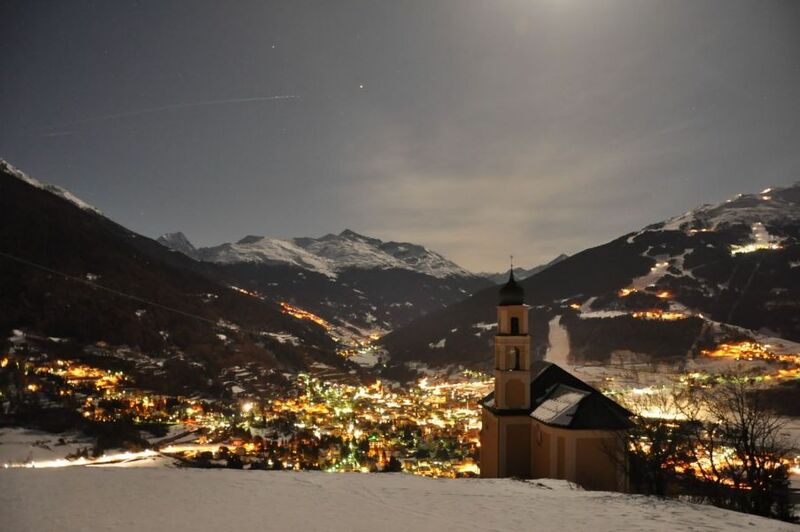 On the other hand if you like the idea of dining out every night, try our self-catering ski break in Bormio. Have you been to Bormio? which was your favourite place to eat? Let us know in the comments!